Jagdish Rattanani is a news writer and columnist with three decades of work in journalism, notably in reporting assignments, analysis and newsroom leadership roles. Jagdish is a founder Director & Editor of the Foundation of the Billion Press (www.thebillionpress.org), a section 8 non-profit in India that works in the news media space with the mission to bringing to light people less seen, voices less heard and perspectives less argued. The Foundation was founded with the support of the late Mr. Savak Tarapore, former Deputy Governor of the Reserve Bank of India, and a leader noted for his integrity and work for the ordinary citizens – the billion plus who make up India. In this role, Jagdish writes columns for several Indian newspapers. The team carries columns from select leaders, thinkers and analysts. He also serves as the Director of the Association of Sustainability Practitioners (ASP) (www.sustainabilitypractitioners.org), a company registered in Dorset, UK, where he represents graduates of sustainability/business responsibility programmes that were run by the University of Bath and Ashridge Business School. Jagdish is an alumnus of Ashridge Business School, Hertfordshire, where he did an MSc. in Sustainability & Responsibility. At the Bharatiya Vidya Bhavan's SPJIMR, a leading B-School in Mumbai, Jagdish teaches in the area of ethics, responsibility, business & society, communications, management & liberal arts, and aspects of leadership. Jagdish has co-authored a book on health and population issues titled: “Population: Questions That Should Be More Frequently Asked”. 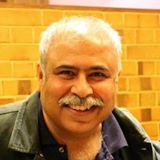 He has written for a book on the Indian media titled: “The Indian Media: Illusion, Delusion, Reality” published by the Prem Bhatia Memorial Trust, New Delhi. He has edited a book based on the writings of Prakash Tandon, the first Indian to become Chairman of Unilever in India, titled ”A Manager’s Mind”, published for internal use by Hindustan Unilever Limited. Along with the senior Dean who built SPJIMR over three decades, the late Dr. M L Shrikant, Jagdish has co-authored a chapter in a book titled: ‘Ethical Leadership: Indian and European Spiritual Approaches’. The authored chapter is titled, ‘Time for B-Schools to Teach Spirituality’. In the past, Jagdish has worked and/or led news teams for Deccan Herald newspaper, The Telegraph newspaper, Business India Television, Zee News television. He has freelanced for Asiaweek magazine, Hong Kong, The Associated Press newswire, South Asia bureau; Deutsche Welle television, EMAP media, UK and Terrapinn, UK. There is the other idea of the decency, grace and balance in pay in a country like India, where workers are often and in these times almost always denied bargaining rights, union leadership has been broken and contractisation ensures that an effective hire and fire policy rules at the lower levels. This is of course a complex subject but there remains a good case for moving toward a fair ceiling on pay – of professionals and of promoters. That can make for a fairer setup and one in which the CEO is less likely to have a swollen head and is therefore less likely to fall. See: How much should you pay a CEO in India? How much should you pay a CEO in India? Women’s Day: How are Hema, Rekha, Jaya & Sushma? Who did NOT move my interest rate? Under Patel, a likely relook at SLR? Who really moved my interest rate?